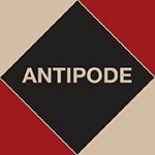 As many will know, we’re celebrating 50 years of Antipode in 2019. It will come as no surprise to hear that we’ve been looking back to the journal’s beginnings in the late 1960s and early 1970s, a period in which David Harvey’s essay “Revolutionary and Counter Revolutionary Theory in Geography and the Problem of Ghetto Formation” looms large. Before getting down to business in his call to arms, Harvey sketches out what a “revolution in geographic thought” does not entail: “yet another empirical investigation of the social conditions in the ghettos. We have enough information already”. Now his argument against “the masochistic assemblage of some huge dossier on the daily injustices to the populace of the ghetto” may seem rather too polemical in these “post-truth” times – sometimes the “most revolutionary thing one can do”, as Rosa Luxemburg once said, “is to proclaim loudly what is happening” – but still his point stands. In many ways we know what we’re against – diagnoses of the ills of the world are legion – so critical academics might (also) be turning attention to what is to be done, or what is being done, in the fight for more just futures. Drawing on interviews and organising materials with disability activists and working poor in the DEE, this article presents an alternative analysis of those on the front lines of drug wars and anti-gentrification struggles. This article not only challenges common conceptions of who becomes and is disabled; it also questions many assumptions in policy frameworks and anti-capitalist organising that being disabled precludes active, let alone central, involvement in transformative policy changes and radical struggles. The investigation underscores the importance of political consciousness, informed by personal and collective histories of radical struggles and alternative cultural production like zines and blogs, that allows organisers to forge new directions for disability politics and anti-gentrification struggles. Below, Mary Jean – a postdoctoral fellow in Family Studies and Gerontology at the Nova Scotia Centre on Aging at Mount Saint Vincent University – talks about her article in a brilliant video abstract. In it she presents disabled people not as casualties of drug wars, austerity, gentrification and related problems, but, rather, as those politicising and challenging urban injustices by linking into emerging radical disability politics across the global North and developing localised revolutionary disability consciousness. Drawing on oral histories and the zines and blogs of disabled activists and workers in Toronto’s downtown east end, her article analyses the emergence of revolutionary disability consciousness and the centrality of disabled people on the frontlines of anti‐gentrification and harm reduction organising in the city. This entry was posted on 9 January 2019 by Antipode Editorial Office in Video Abstracts and tagged anti-austerity politics, anti-gentrification politics, austerity, blogs, disability, disability activism, disability consciousness, disability politics, disablement, embodied political consciousness, gentrification, geographies of disability, harm reduction, historical materialism, oral history, Rachel Gorman, stigmatisation, Toronto, zines.